Keith E. Yunker, age 67, of Peotone, passed away on Friday, February 1, 2019 at Franciscan St. James Hospital in Olympia Fields, suddenly. He is survived by his wife, Margaret “Peggy” (Gallagher) Yunker who he married on March 18, 1989 in Peotone. He is also survived by 4 children, Jennifer Yunker (Marty) Dore of Frankfort, Nathan (fiancé Jenn Sutton) Taylor of Peotone, Ross Taylor of Peotone, and Maggie Yunker (Brian) Fahrner of Manhattan; 2 grandchildren, Sara and Sean Dore; a sister, Sandie (the late Wilbur) Teske of Peotone; 2 brothers, Norman Yunker of Homewood and Terry Yunker of Manteno; a step-brother, Roger (Jacquelyn) Beaver of Colorado; and numerous cousins, nieces and nephews. He was preceded in death by his father, Norman H. Yunker; his mother, Dorothy A. (Henning) Yunker Beaver; his step-father, David Beaver; a brother, Bruce Yunker; and a step-sister and brother-in-law, Sharon and Ralph Stadt. He was born on March 3, 1951 in Blue Island. He owned and operated Yunker Construction for the past twenty-seven years. He was an avid, diehard Chicago Cubs fan his entire life. He graduated from Peotone High School with the Class of 1969 and enjoyed helping organize and plan many class reunions over the years. He also helped organize and then host the variety shows that took place at the Peotone American Legion which raised money to benefit the Manteno Veteran’s Home. Keith was a very social person. 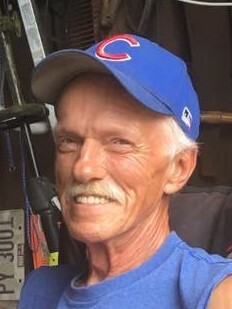 He played softball in the Peotone men’s and co-ed leagues for many years and was part of a group that got together regularly to play poker for the past thirteen years. He loved to start his day with a Diet Coke at Casey’s General Store and then stop by the Peotone American Legion or Peotone Bowling Center for a beer at the end of the day. Visitation will be held at the Fedde-Helfrich-Cross Funeral Home on Tuesday, February 5 from 3:00 p.m.-8:00 p.m. Funeral services will be held at Christ Community Church, 103 W. Corning Ave., Peotone, IL on Wednesday, February 6 at 11:00 a.m., Pastor Zach Grell officiating. There will be visitation at the church from 10:00 a.m.-11:00 a.m. prior to the service. Cremation rites will be accorded following all services. Memorials to the family’s wishes would be appreciated.